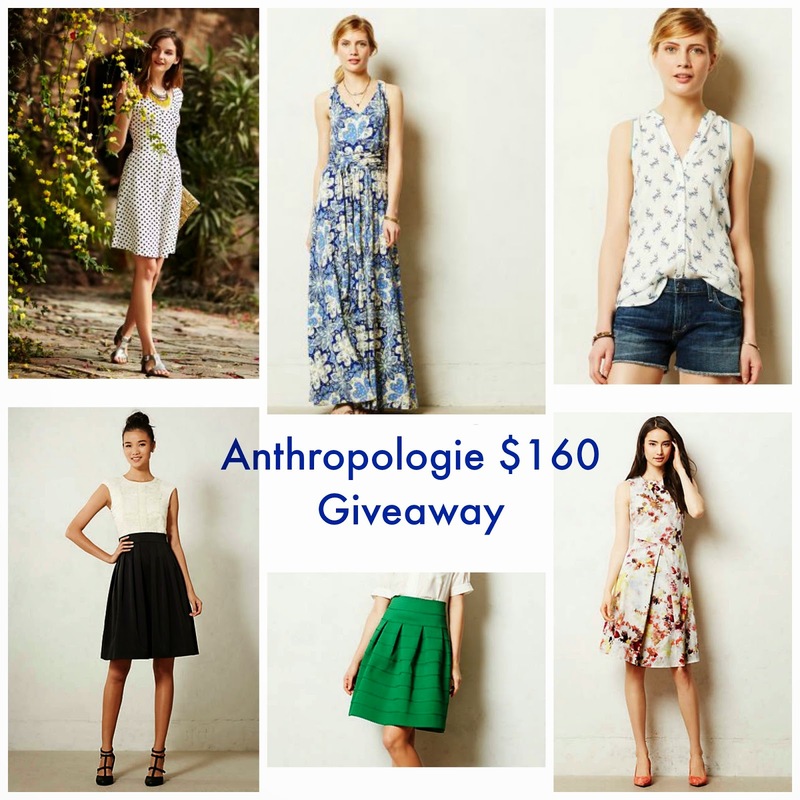 I mentioned in a previous post how I won $100 to Anthropologie and showed you what I purchased. I'm looking forward to wearing the dress I purchased soon, if it can get warm enough in New England. Here's your chance to win a $160 gift card and below are some more great pieces for spring and upcoming summer months all under $160. Sarzay Dress / Green Skirt / Tea Dress I paired up with some lovely blog friends to offer you a $160 gift card to Anthropologie so that you can stock up on summer essentials. 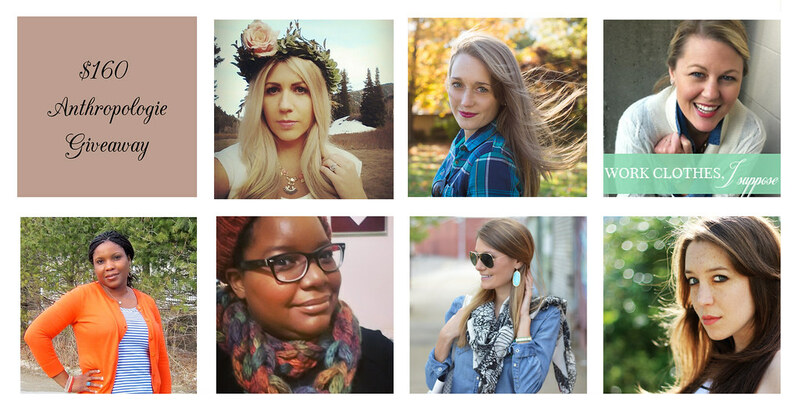 Please check out these lovely ladies' blogs and then enter the giveaway below! It runs from tonight through next week Wednesday and the winners will be verified and then emailed by me! :) Open to U.S. entrants.